36 Mill Run Rd, Gates County, NC 27926 (#10252059) :: Abbitt Realty Co. 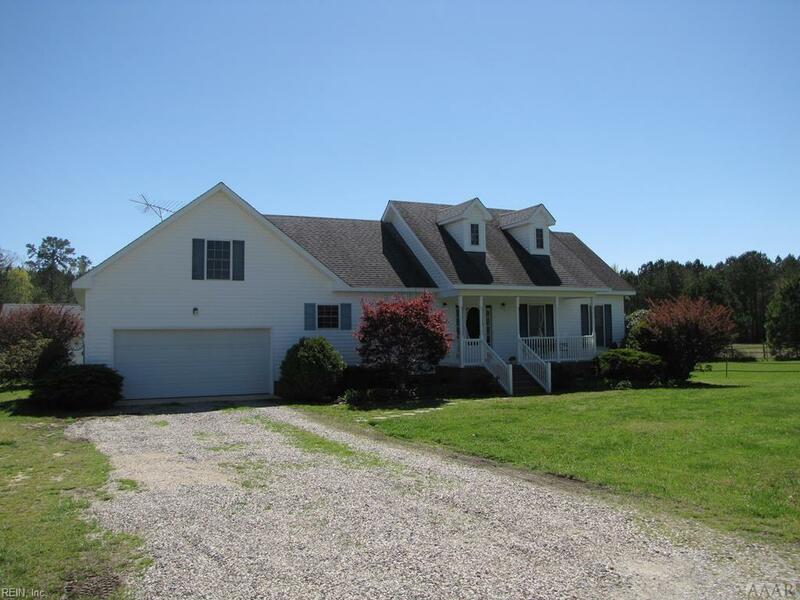 Fantastic home on 3.43 acres right at the VA/NC border! Horse barn with 3 stalls, tack room, water, and electric. Plenty of fenced just fertilized pasture! Open floor plan living room with gas FP, dining, kitchen with bar, all appliances. Screened porch off living area overlooking back pastures. Large master and bath with walk in closet. Bath has jetted tub and separate shower. Huge FROG right upstairs from large laundry and half bath as you enter from 2 car garage. 2 Additional bedrooms share bath on opposite side of living area. Well built with 2x6 rafters and well maintained. Trane HVAC 2 years new. Current Termite/Moisture policy. Peaceful and Private!